Hand Bouquet / flower hand is a kind of ornamental flowers stitched or braided into one that consists of various types of flowers that user to grip in hand, and coral flower is called with bouquets. The purpose of making this hand bouquet is as a symbol of your affection for your partner or parents in a romantic way. Hand bouquet is one of the best ways to express your affection to them. 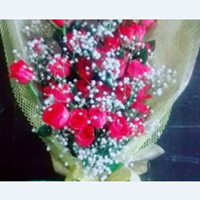 Wide selection of flowers we provide to you, the flowers will be assembled into a hand bouquet by experts who are experienced to produce a beautiful bouquet of hand work. Not only is there a wide choice of types of flowers, every flower we provide is always in fresh and selected condition. 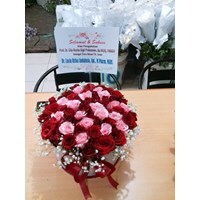 We are happy to offer the best hand bouquet prices for you. Simply by selecting the design or interest listed in our catalog, then you can contact us via the number listed. With karanganbungasurabaya.co.id choose interest to be easier and cheaper. Bouquets are often given for special occasions such as weddings, birthdays or anniversaries. Flower arrangements can also be placed in vases or pots for home decor in either traditional or modern styles. Symbolism or meaning of flower arrangements will depend on the type of flower used and the culture of the local community. The terms and types of flower arrangements vary. A bunch of famous flowers or poesy flowers are a popular gift during the Victorian era. The bride will carry a small bunch of flowers during the wedding ceremony. The habit of carrying a bunch of flowers was introduced to England in the early 18th century, and became an accessory for young women in the early 19th century. The type of flower arrangement that was popular at the time was "Tussie-Mussie or Posy". The tussie-mussie flower arrangement is a circular flower bouquet that carries symbolic meaning based on the language of flowers. Flowers given will represent certain feelings. 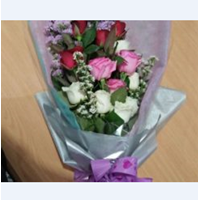 This type of bouquet is usually given by a couple who wants to send messages to each other based on the type of flower used in the bouquet of flowers. Flower Forhand (Bouquet) 8Flower Bouquet suitable as a gift or gift as an expression of love.Flower Forhand or Flower Bouquet is a type of flower arrangement with a handle that can be held. This type of flower is composed of fresh red roses. We also provide various kinds of Flower Decoration and other Hand Flower Handmade on request.Natalia Florist Is an Online Flower Store Established Since 1995, located in surabaya, we are engaged in florist, we are ready to serve all kind of Flower arrangement and ready to serve you 24 hours on time. 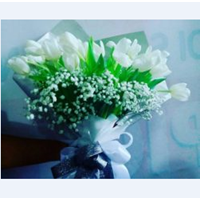 We have a commitment to always provide the best service for you, We Serve For Java Region Bali.We employ experienced experts in the field of florist, so that the final result of the work is perfect and satisfying the customer. Hopefully we are given the opportunity to prove directly to you to do what you need.Happy Shopping At Our Online Flower Shop, Please contact our CS for details. Flower Forhand (Bouquet) 9Flower Forhand or Flower Bouquet is a type of flower arrangement with a handle that can be held. This type of flower is composed of fresh red roses. We also provide various kinds of Flower Decoration and other Hand Flower Handmade on request.Natalia Florist Is an Online Flower Store Established Since 1995, located in surabaya, we are engaged in florist, we are ready to serve all kind of Flower arrangement and ready to serve you 24 hours on time. We have a commitment to always provide the best service for you, We Serve For Java Region Bali.We employ experienced experts in the field of florist, so that the final result of the work is perfect and satisfying the customer. Hopefully we are given the opportunity to prove directly to you to do what you need.Happy Shopping At Our Online Flower Shop, Please contact our CS for details. 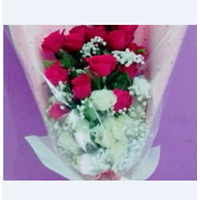 Rose Bouquet FlowerFlower Bouquet is a type of flower arrangement with a handle that can be held. This type of flower is composed of fresh red roses. We also provide various kinds of Flower Decoration and other Hand Flower Handmade on request. Flower Hand BouquetWreaths of this type are designed to have a smaller number and less interest. With the handle of the stalk on the bottom, this flower is suitable for wedding accessories or love expression. Flower bouquet made with fresh flowers and arranged neatly and beautifully so interesting to see.Compiled by a professional workforce and qualified so that has a high artistic value. We also provide various kinds of Decorative Flowers and other wreaths on request. 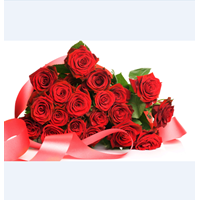 Flower BouquetFlower Bouquet is a type of flower arrangement with a handle that can be held. This type of flower is composed of fresh red roses. We also provide various kinds of Flower Decoration and other Hand Flower Handmade on request. Flower Forhand (Bouquet) 7Flower Bouquet suitable as a gift or gift as an expression of love.Flower Forhand or Flower Bouquet is a type of flower arrangement with a handle that can be held. This type of flower is composed of fresh red roses. 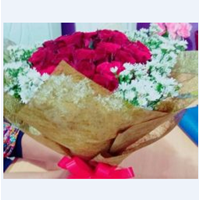 We also provide various kinds of Flower Decoration and other Hand Flower Handmade on request.Natalia Florist Is an Online Flower Store Established Since 1995, located in surabaya, we are engaged in florist, we are ready to serve all kind of Flower arrangement and ready to serve you 24 hours on time. We have a commitment to always provide the best service for you, We Serve For Java Region Bali.We employ experienced experts in the field of florist, so that the final result of the work is perfect and satisfying the customer. Hopefully we are given the opportunity to prove directly to you to do what you need.Happy Shopping At Our Online Flower Shop, Please contact our CS for details. Flower Forhand (Bouquet) 6Flower Forhand or Flower Bouquet is a type of flower arrangement with a handle that can be held. This type of flower is composed of fresh red roses. 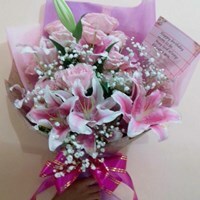 We also provide various kinds of Flower Decoration and other Hand Flower Handmade on request.Natalia Florist Is an Online Flower Store Established Since 1995, located in surabaya, we are engaged in florist, we are ready to serve all kind of Flower arrangement and ready to serve you 24 hours on time. We have a commitment to always provide the best service for you, We Serve For Java Region Bali.We employ experienced experts in the field of florist, so that the final result of the work is perfect and satisfying the customer. Hopefully we are given the opportunity to prove directly to you to do what you need.Happy Shopping At Our Online Flower Shop, Please contact our CS for details. Flower Forhand (Bouquet) 1 Flower Forhand or Flower Bouquet is a type of flower arrangement with a handle that can be held. 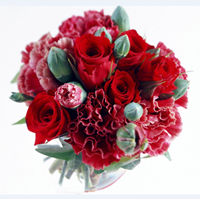 This type of flower is composed of fresh red roses. 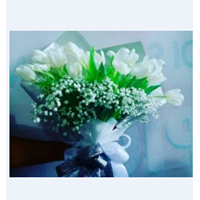 We also provide various kinds of Flower Decoration and other Hand Flower Handmade on request.Natalia Florist Is an Online Flower Store Established Since 1995, located in surabaya, we are engaged in florist, we are ready to serve all kind of Flower arrangement and ready to serve you 24 hours on time. We have a commitment to always provide the best service for you, We Serve For Java Region Bali.We employ experienced experts in the field of florist, so that the final result of the work is perfect and satisfying the customer. Hopefully we are given the opportunity to prove directly to you to do what you need.Happy Shopping At Our Online Flower Shop, Please contact our CS for details.